Today in Masonic History John Ora Bailey passes away in 1959. John Ora Bailey was an American judge and politician. Bailey was born in September 26, 1880 in Grinnell, Iowa. After attending local schools he would attend Harvard University. After graduating from Harvard in 1906, he would go on to graduate from Harvard Law School. After graduating law school, Bailey would head to the west coast of the United States, living for a short time in Spokane, Washington. In Spokane, Bailey would practice law before moving to Portland, Oregon in 1910. From 1915 to 1920, Bailey would serve as assistant Attorney General. He would handle a variety of land fraud cases and would help write legislation to protect Oregon state lands. After leaving the assistant Attorney General position he would return to private practice until 1933. During that time he would hold a variety of elected positions. He would serve for four years in both the state house and senate. He would also serve on the Portland School Board for 3 years, including 1 year as it's chair. 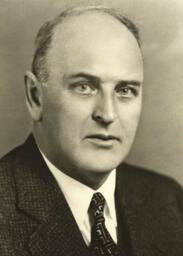 In 1932, Bailey would be elected to the Oregon Supreme Court where he would serve until retiring in 1950. During World War II Bailey would serve as the Chief Justice of the Oregon Supreme Court. Bailey passed away on February 16th, 1959. Bailey was a member of Doric Lodge No. 132 in Portland, Oregon.